Why this is the most important season yet for Jack Wilshere at Bournemouth. Recently one of my oldest friends moved up to Edinburgh so, although it's obviously very sad that she won't be 5 minutes away from me anymore, it does give me a great opportunity to visit a wonderful city more often! I went a few years ago during the Fringe Festival and although it was a great trip, we stayed completely in the Old Town so I wasn't sure what else Edinburgh had to offer; turns out - a lot. We had an early start on Saturday morning to walk up Arthur's Seat. We were incredibly lucky with the weather, solid rain was forecast however Saturday stayed clear all day which made the hike much more pleasant! We climbed around all three peaks, in total we took around 3-3.5 hours however you could do it in much less if you're on a tighter schedule - we were just having too much fun adventuring. It's a shame that photos don't really do justice to the amazing landscape of the place, it feels like an untouched oasis of calm in the middle of a bustling city and is an absolute must-do for visitors and Edinburgh residents alike. If you're feeling particularly fit, you could try to run the route instead. Although we saw lots of runners braving the steep climb, we saw one man run and and down at least three times, and he was still going when we left so it can be done (rather him than me though...). Inspiration for next time perhaps! Having descended the hill we continued on our tour of the beauty spots of the city and headed to Portobello Beach. 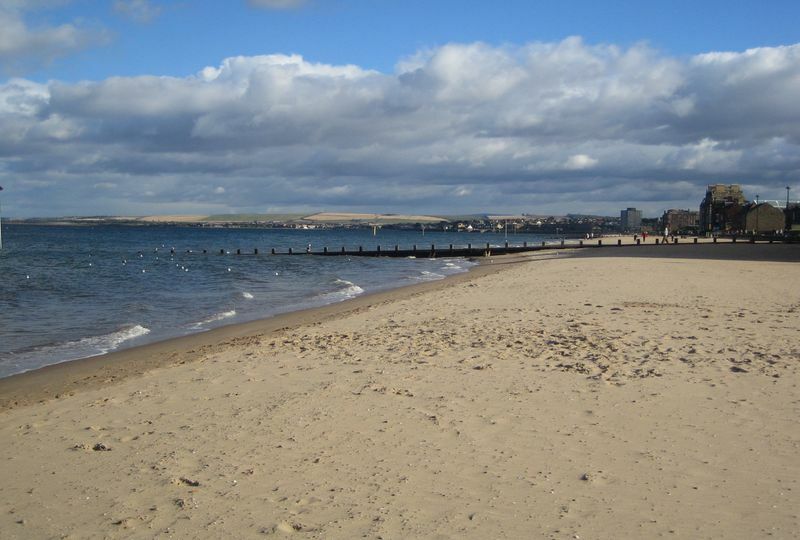 I might be a complete fool but I'm quite ashamed to admit that until my friend moved there and told me, I had absolutely no idea that a beach in Edinburgh existed - but really, who'd have thought that a stunning sandy beach would be a mere 10 minute drive from the city centre! Admittedly, I wouldn't go for a dip in the North Sea but nonetheless, it's a pretty glorious sight. Along the promenade there's the obligatory seaside amusement arcade which is a fun way to waste an awful lot of 2p coins... Personally I love it! After resting our weary legs, we headed out to the Slug and Lettuce in the Omni Centre. Food was great with a wide range to choose from but the really appealing part was the half price cocktails on a Saturday night! Of course we obliged and enjoyed a long dinner testing out the cocktail menu before heading off the The Three Sisters bar. We were actually looking for an Irish live music pub called Whistlebinkies which had been recommended to us by our waiter but we somehow stumbled upon The Three Sisters instead. It was really busy with plenty of stag and hen parties in the large courtyard area, making for a really fun and friendly atmosphere! Drinks weren't super cheap at around £8.50 for 2 single vodka mixers but it wasn't a student night so we didn't expect it to be any less. Around the venue they had various food stalls including freshly made pizza and chicken, which was good to see as it all seemed to be local businesses making good food at reasonable prices. They also have a huge screen which shows sport events during the daytime so definitely check this place out if you want to watch a match on (probably) the biggest screen in Edinburgh. 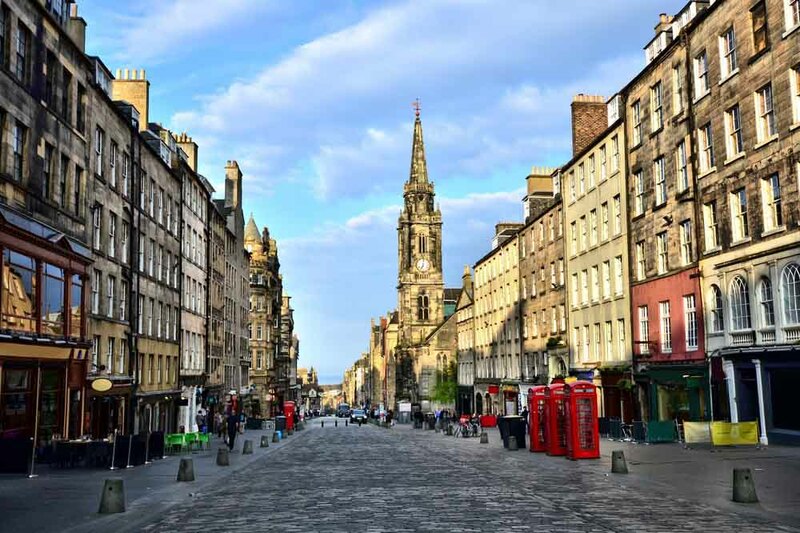 If you're feeling up to it on Sunday having experienced Edinburgh's nightlife, you could spend some more time around the Old Town area - I'd recommend the Royal Mile/High Street in particular as there's some great shops and beautiful buildings that I can remember from my last visit. All in all, Edinburgh is the city that has it all - architecture which resembles Rome and Bath, a coastline like Cornwall and a lively bar scene. What more could a girl want?! Follow and tweet me @evierosetravels or comment below if you'd add anything to my Edinburgh itinerary!